Yes, iPod is a must have for music buffs, it delivers good ways to enjoy music, but if we can get free music downloads for iPod, it would be better. Apple will never offer free song download app for iPod with no download limits, at least in the future a few years. It doesn't mean that you have to buy music from iTunes, Apple Music, in fact, you have tons of ways to download free music for iPod. You can jailbreak your iPod and go to pick Cydia free music app, like MusicDog, dTunes, EZ-MP3 Player, etc. But if you are a non-jailbroken iPod user or want to switch to other ways, keep reading and find the best solution for free songs downloads for iPod without jailbreak. You'll love the free songs downloader for iPod Nano, Shuffle, Touch 6, 5, 4 and older after you try it. It downloads billions of free MP3 AAC audio song, or HD, HQ, 4K, 8K music video in MP4, AVI, 3GP, FLV, MOV, etc. from SoundCloud, YouTube, Dailymotion, Vimeo, Vevo, and other 300＋ sites without any limits. The faster, the better, it only takes a few seconds for the the program to download a free music video for iPod(Jailbroken or non-jailbroken). Unlike some free music download sites for iPod that throw pesky pop-ups, this program is 100% clean, you are free from ads, virus, spam, plugins, and the likes during the free music downloads for iPod. Its ease of use is also a big highlight. Follow the guide below to download free Hindi songs top movie soundtracks hit singles to iPod. Fortunately, Windows users can also benefit from this iPod free music downloader. MacX HD Video Converter Pro for Windows is designed for Windows PCs (Win 10) in speciality. And you can follow the same steps of Mac version below to get free music download on iPod. Step 1: Free download the iPod free music downloader and run it on your computer. (Windows version is available as well.) Click "YouTube" button to enter the free music downloads for iPod page, copy and paste song URL the box frame and hit "analyze". Step 2: Choose format, resolution, file size you want. Step 3: Click "Browse" button to select an output folder to save the downloaded free songs for iPod. Step 4: Hit "Download Now" to start the job. You can follow the tutorial to download Taylor Swift songs, Demi Lovato Cool for the Summer, Let It Go, Furious 7 original songs, Pitch Perfect 2 soundtrack , Disney Hollywood movie songs, etc. to enrich your iPod music resources. MP3 Skull is a good website to download free MP3 songs to iPod. It provides a big collection of free music downloads for iPod and convenient search bar. All you need to do is to type the song you wanna download in the search box and you'll see a wide range of resources, pick one and click download. Truth to be told, download buttons on this top free iPod MP3 music download sites are really confusing, there's a high chance you'll pick up virus and plugins. If you hate pesky ads, plugins, you can take advantage of free music downloader for iPod to download music or directly move music from Mac to iPod with the help of iPod transfer. Noise Trade beats off MP3 Skull no matter in website design, or music resource. And it is clean, no virus, tricky plugins, spam, annoying pop-ups, making itself one of the best free music download sites for iPod. With a wide range of music genres, Noise Trade still adds new albums continually. To download music from this free music downloads for iPad iPod iPhone, you have to register. If you are not going to pay the songs, you only have access to download some free songs distributed by some artists. MacX MediaTrans, one of the most powerful iPod music transfer, provides users the simplest solution to copy music from Mac/PC to iPod Nano/Shuffle/Touch with world's No.1 fast speed and no quality loss. It also can add playlist to iPod and even create playlist on iPod to better manage iPod music library. 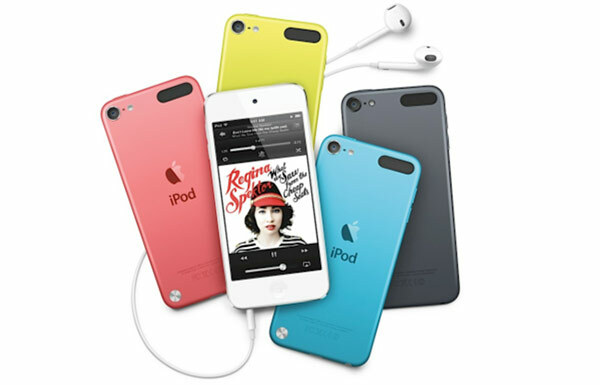 iPod has bags of apps to stream free music, Pandora, Spotify, SounCloud, to name just a few. When it comes to free music downloads for iPhone iPod iPad iOS devices, you still have chances to get many apps in your pocket. Freegal Music is a good one. The iPod free MP3 songs downloader app offers about seven million songs with continually updated today's top albums, singles, featured artists & composers, as well as a search bar. The free application is compatible with iPod touch. Like most free music apps, it crashes sometime, and has download limits. The interface and other designs need improvement. You can't deny that there's few free apps in the store offering limitless free songs downloads for iPod. Among the few free applications, MP3 Music Downloader is a reliable app for iPod to download free legal MP3 songs for free. No register is required. It is very simple to use. One thing worth noting is that almost all free songs download app for iPod have download limits, and stutter or crash very often. And free music download sites for iPod throws overwhelming ads and plugins.